It has been a long time, since I have written anything about myself. So, I am intending to make as much use of this section here as I can. I did a formal presentation of what I am and what I do, previously here. But, I guess it was too formal and whenever I'd read it, I'd either stop reading after first two lines or dodge away from my self-description. It looked more like my description written by someone else. I had been planning to change the whole uncomfortable and too formal "about me" section here, since quite a long time. But, my work and all the events had prevented me to come here at all. By "my work" I mean, my routine and regular job which is of making software, or to be precise - of re-using the things which are already there in the market to create something that can ease up some tasks for some other people. I was born in a small town called Hazaribagh (India), though I don't remember anything about the place. My consciousness has registered my initial memories from a small place called Barmana in Himachal Pradesh(India), where I spent the first 11 years of my childhood. After that my life took me to the terrains of Punjab(India), Rajasthan(India), Bangalore(India), New York(USA) and Germany. I have done my Masters in Software Engineering from BITS Pilani, India. I always wanted to become a school teacher, but now I guess, in my industry of "Software engineers", almost everyone wanted to become someone else than what they are right now. So, I don't want to crib on that part. Besides, my job is much smoother on the work front, a bit monotonous, but most importantly it can take care of my funds. So, I feel blessed and thankful for my wonderful job and all that I can get from it. I was never a TV person. I could watch TV only when I am too tired to do anything, but never because of boredom. I love to read, write, sketch, paint and play piano. Most of my writings at hubpages are for the purpose of "information sharing". If you are interested to read my ramblings, you can check my writings at my personal blog. If you are interested in gadgets, mobile phones and other electronics and want to explore some of them, you can check them at my electronic gadgets collection. I love to write, and try to find out time and energy from my day-to-day routine to get some thoughts down on the paper. Topics ranging from self-help to beauty and health, fantasy, fiction, and any unusual crazy things interest me a lot. I am also quite aligned to the self-help, motivation, law of attraction and the like topics. Some of my collections can be found at succeedineverything.wordpress.com. I also love to sketch and paint. 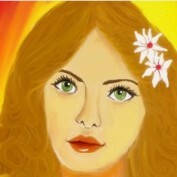 Some of my art works can be found at my art gallery here. If you like articles published at hubpages, and want to write your passion and become a part here, you can Sign up here. It is extremely easy, simple and free. Plus, you can have better visibility of your written articles. If you feel that writing can be fun, then what more fun could it be than to start earning from what you enjoy doing so much? Hubpages can give you an excellent platform to write, showcase your views and knowledge, and earn via various affiliate tools like Google Adsense, Amazon, Konterra etc. My experience with Hubpages has been quite pleasant and productive, so far. I definitely give it double thumbs up. Please feel free to provide your reviews, comments and feedbacks to any of my writings you find interesting or intriguing. If you like a post, you can choose to give a thumbs up. If you like most of my posts, or even a few of them, and want to keep yourself updated with my writings, you can opt to "Subscribe" for the posts. This option is available in all the places my posts are published. Thanks! 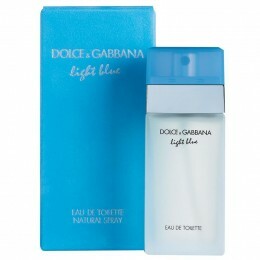 Light Blue Perfume by Dolce & Gabbana is spectacular cologne, irresistible and tempting like the delight of living. The article talks about the sacred healing number 3396815, and how you can use it to your benefit.